This book brings together the essays of Robert Art, one of America's leading scholars of international relations and US foreign policy. The essays represent some of his most important and influential international relations and foreign policy pieces written since the end of the Cold War. Focused on the theme of American grand strategy, the essays cover such topics as: the use of force coercive diplomacy nuclear deterrence defence policy the role of NATO US-European relations. The essays in this collection possess both theoretical depth and historical breadth, providing a coherent assessment of the role that American military power plays in international politics. 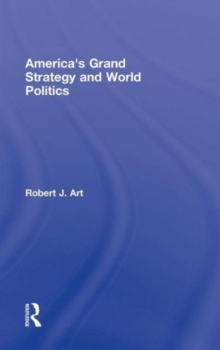 It includes a new introduction that provides an overview of American grand strategy and an original afterword in which the author reflects on the future of grand strategy in the post-9/11 world.